Exterior house paint can be costly so making the right choice should be an important part of the decision for finding the right exterior paint. Choosing the right exterior house paint starts with the right color. You can choose a three color scheme up to seven color schemes for a more elaborate colors. The colors must be chosen for three areas which includes shingles, window and door casings, doors and shutters. You can load a digital picture of the house and use a paint imaging software to select colors for your exterior house paint. There are many house paint colors made available by manufacturers to exterior paint customers. You can find modern colors and variation of normal colors that will aid you in making your house unique from all others. Since exterior paint is costly, making sure that it is of high quality is important. The exterior paint should be able to last for more than 10 years. You should try looking for market reviews and similar reviews to help you get the best for your money. A good house paint color can make the features of the house stand out and cover design flaws. Yellow colors harmonize well with brick and stone. Green has a variety of hues that can range from spring leaf green to olive and moss colors. Blue has different kind of moods and may project a playful house to quiet if dark toned blues are used. A pink exterior pain can make the house seem feminine and playful while darker tones like rose or coral can make it dramatic. Painting the house takes a lot of time and work depending on its size and complexity. The best time to paint the exterior of the house is late spring or early fall when the day is dry and there is not too much sun. 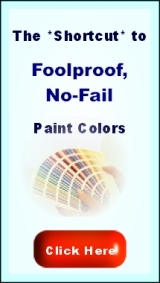 You should check the house before painting and inspect for paint failures. Any damaged surface should be repaired whether wood, masonry, metal, or stucco. You'll first need to clean and prep the surface, get the paint, and then apply the exterior house paint. Wash all surfaces thoroughly, you can use a high pressure sprayer to make it easier. Make sure that it is thoroughly dry. Remove any loose or blistered paint using sand paper or paint scraper. Patch all holes, cracks, and gouges. Caulk places that meets a different material. Apply primer to all raw surfaces using different primers for wood, metal, and stucco. After the primer is dry, you can start applying the exterior house paint. Let each exterior paint coating dry before applying another coat following the recommendation of the manufacturer.